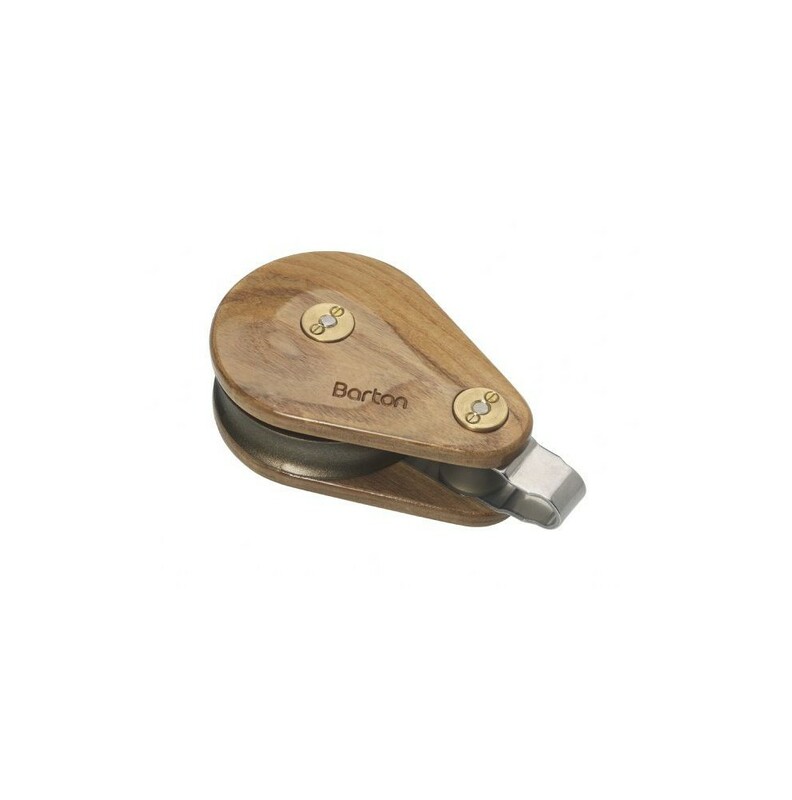 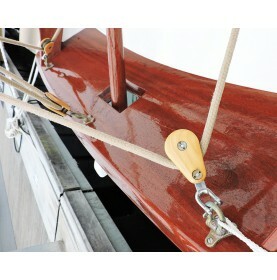 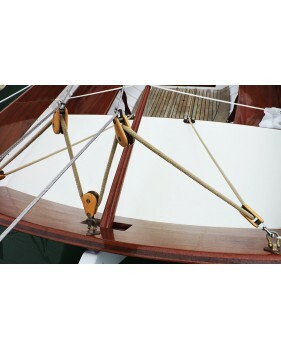 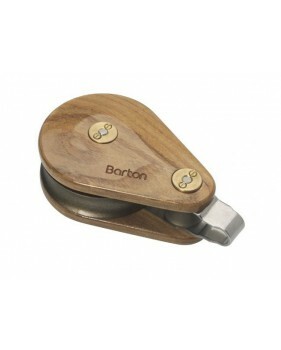 Simple varnished ashwood block by Barton for 12-14mm ropes an a classic yachting design. 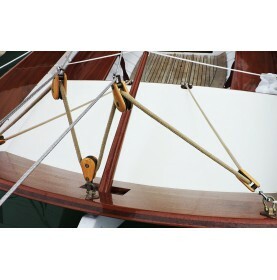 These modern blocks are adapted for removable regular maintenance. 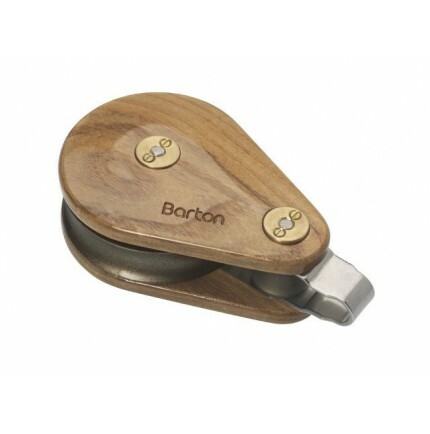 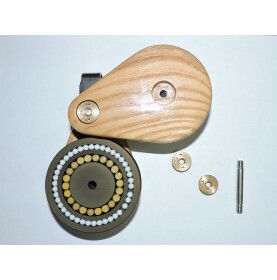 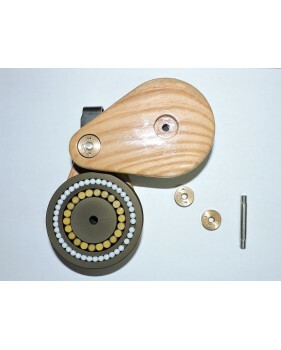 The sheave is equipped with a needle bearing including an inner ring from TORLON and has ball bearings made from DELRIN running in the outer ring to minimize the lateral friction. 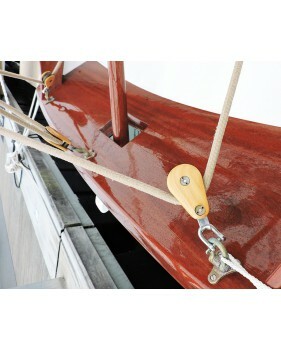 The fittings are made from stainless steel, the sheaves are bronze colored.